Lydia and Olin got married on May 5th, 2013 at Scripps Seaside Forum. We started planning for this wedding only four months prior to the wedding! We had a big job ahead of us, but nothing we couldn’t handle. Lydia and Olin wanted a fun, beautiful wedding and I was blessed to get to be part of their wedding experience. To start the day off the weather was looking a little rainy. But we pushed forward and set everything outside on the Scripps lawn, only to have to move everything inside only 30 minutes prior to the wedding when it began to pour. Thank goodness for an amazing I Do…Weddings Team! 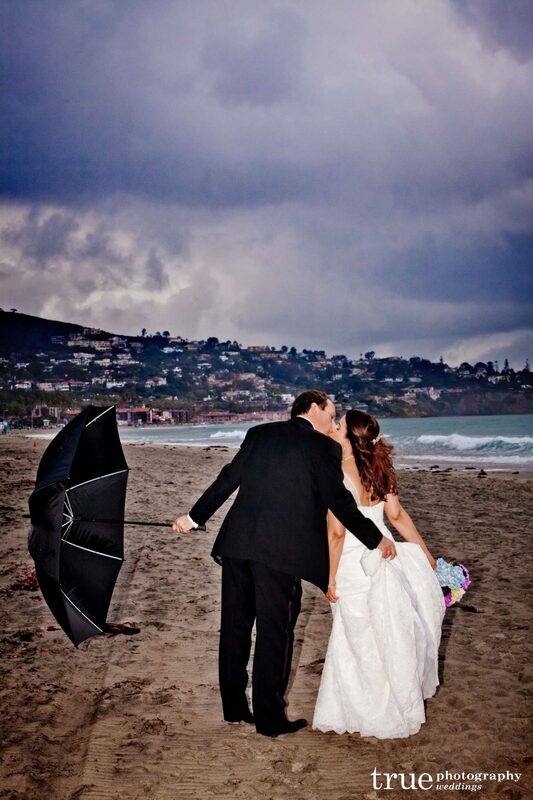 This was our first Scripps Seaside Forum wedding in the rain. This was not going to keep Lydia and Olin from their dream wedding. We loved how the couple really rolled with the punches with their photos! The upper area of the Scripps Seaside Forum made for a unique spot to take some couple’s portraits as we waited for the weather to clear. We used umbrellas, and kept them dry for their first look photos. It was beautiful. By the end of the ceremony the sky dried up and they had a beautiful sunset as their backdrop! Lydia and Olin even had their dog as the ring bearer! Melissa Barrad of I Do…Weddings provided beautiful florals in purple and blue. The décor was perfect for the Scripps wedding even if it was raining. The guests enjoyed the intimate setting inside Scripps for the ceremony and reception, and when the sun came out they all went out for an amazing sunset photo. 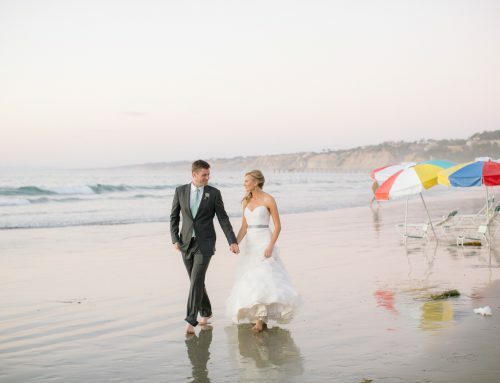 Guests really seemed at home in the beautiful beach setting no matter the weather! The cakes from Extordinary Desserts were a big hit, as the couple decided on having multiple cakes instead of one wedding cake. The multiple flavors gave guests a choice in their cake for the evening. Not one plate was empty. 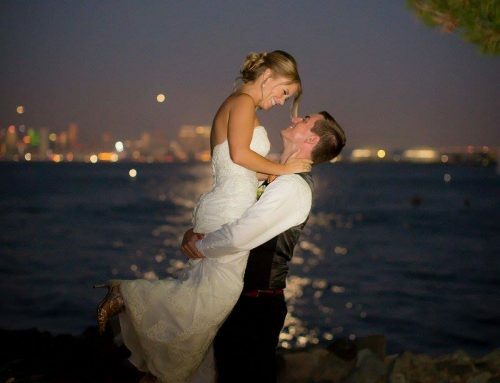 Lydia and Olin danced the night away in the gorgeous beach setting. It was a great wedding all around. Guests packed the dance floor, and left with a special feeling being part of their wedding day. We may have had some weather challenges, but in the end Lydia and Olin’s wedding was a huge success. Thank you to Lydia and Olin for allowing me to share in their wedding experience!